Watch below Emily’s full interview on Live With Kelly and Ryan. She talks about A Quiet Place, her upcoming movie Mary Poppins Returns and more. Emily Blunt popped by the Absolute Radio studios to chat to Pete Donaldson about her incredible new film A Quiet Place, if stories about her being the next James Bond are true, and the strangest rumours she’s heard about herself! 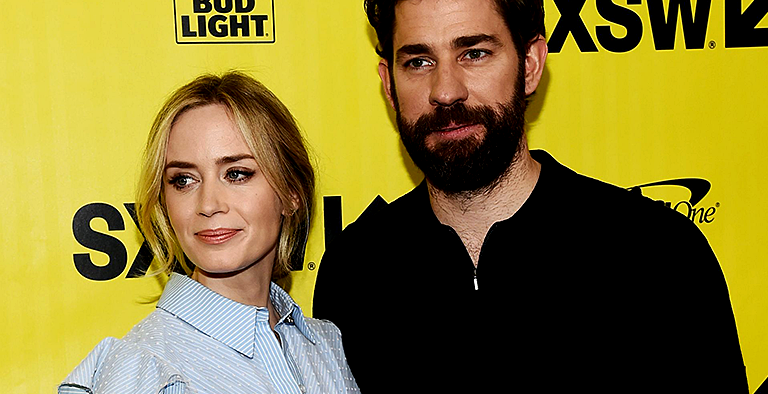 During production of the thriller movie “A Quiet Place,” Emily Blunt said her marriage with co-star and director John Krasinski became stronger, contrary to warnings from others. In this week’s Sunday Sitdown, the British-born actress talks to Willie Geist about working with her husband as well as what it’s like to have the stamp of approval from “The Devil Wears Prada” co-star Meryl Streep and the original Mary Poppins, Julie Andrews. Yesterday, Emily visited Magic Radio early in the morning and Graham Norton alongside her husband and ‘A Quiet Place’ co-star John Krasinski. Our gallery was updated with promotional images from both shows and we will update this post as soon as we get videos from their appearances. 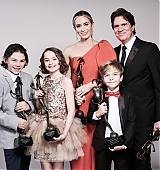 The “A Quiet Place” star tells “GMA” about her childhood fear of Disneyland and what her kids think of her as Mary Poppins. Emily vs. Anne’s Lip Sync Battle Airs Tonight! Spike TV will air Emily’s Lip Sync Battle against Anne Hathaway tonight on Spike TV. Some promos/previews have been released which you can find and watch below. Be sure to tune in tonight and check your local listings for the time! Continue reading Emily vs. Anne’s Lip Sync Battle Airs Tonight!